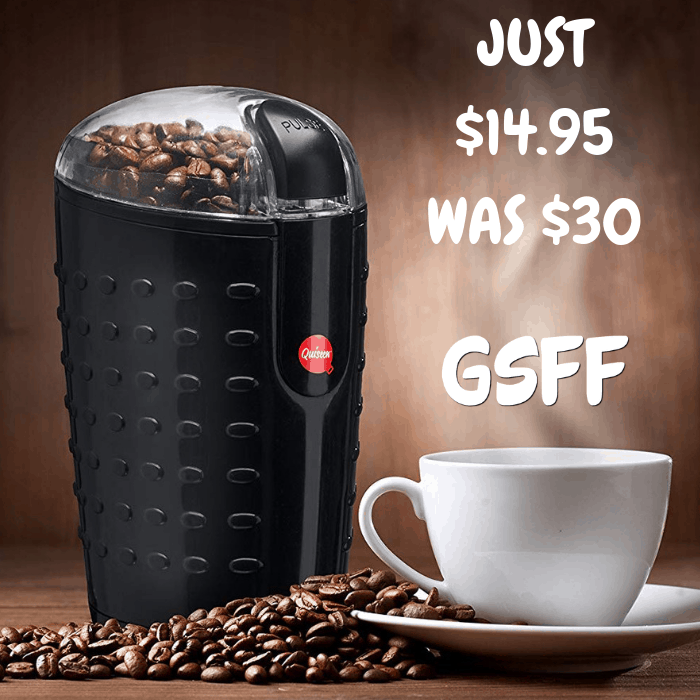 Electric Coffee Grinder Just $14.95! Down From $30! Shipped! You are here: Home / Great Deals / Amazon Deals / Electric Coffee Grinder Just $14.95! Down From $30! Shipped! Amazon has this Electric Coffee Grinder on sale for just $14.95 down from $29.99 when you apply this extra $2 coupon located below the price PLUS FREE shipping!